As the hunt for contacts and explanations began, another case came to light. On Sunday 25 February, Prof John Pathy was called to East Glamorgan hospital to examine a colleague whom he knew well, a consultant obstetrician who had delivered one of his children. Dr Robert Hodkinson was the only member of the hospital’s staff who had not been revaccinated in the previous weeks. Pathy diagnosed smallpox: ‘I didn’t think he was going to die, although his condition was severe. I thought he would probably survive, because he had been vaccinated in childhood; but at that stage we didn’t really know how virulent the organism was. It was clear after he died that we were dealing with a very virulent strain.’ That same day, Marion Jones was diagnosed with smallpox. Robert Hodkinson was a big man, respected by his medical colleagues and well known in the area. He enjoyed a game of golf. He was married with two grown-up daughters, both of whom became nurses. One (Carol), was married to a GP and had baby twins; the other (Jean) was in London, where she was taking a special course as part of her nursing training. The previous Thursday (22 February), Dr Hodkinson – incubating smallpox – had held his regular outpatients clinic at East Glamorgan Hospital. Later in the day he held a private clinic a few miles away in Pontypridd. He felt off colour, but not ill enough to cancel his appointments. 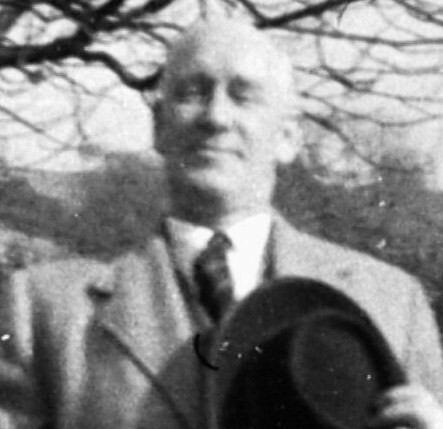 But on Friday night, Mrs Hodkinson called the family’s GP, Dr James Wakelin, who lived just a few doors away; he saw the patient and visited him again on Saturday but was unable to find anything identifiably wrong. By Sunday the patient was running a temperature of 105 and was obviously very ill. Dr Wakelin arranged for him to be admitted to East Glamorgan hospital. The nursing staff were put on alert. 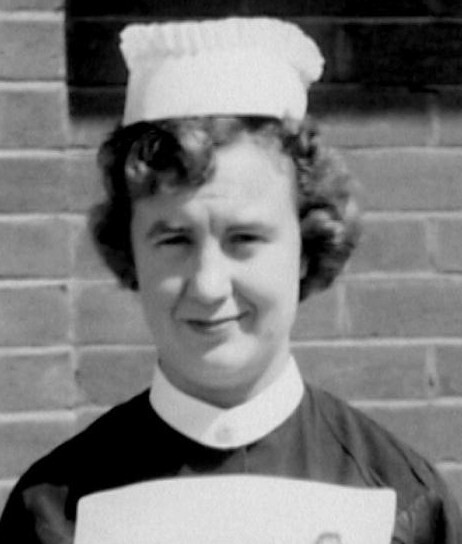 Olwen Williams (nee Lloyd) was a sister on the acute male medical ward; she’d been re-vaccinated a few weeks earlier. She remembered being told that the consultant gynaecologist was being brought in with ‘a rash of unknown origin’: ‘We had no idea of what was wrong with him. All we knew at the time was that he had a fever and was very ill. I didn’t think of smallpox – it was the last thing to enter my mind.’ She prepared to isolate him in a side ward and cared for him herself, using strict ‘barrier nursing’ procedures. This involved total isolation of the patient; every time anyone entered the room they wore a gown, mask and gloves and these were taken off and abandoned in the room when they left; hand washing was a priority. The strict hygiene appears to have paid off, because there were no other cases on a ward of 30 men. See the memories of Mairwen Richards below. When Dr Wakelin, the GP, was told the diagnosis, his first reaction was to visit the Hodkinson family and vaccinate them; Mrs Hodkinson told him she had taken her husband’s temperature and then put the thermometer in her own mouth. Jean Hodkinson (later Jean Davies), visited her father in hospital on the Monday and was the last of the family to see him alive. She remembered him telling her: ‘Don’t kiss me or touch me. I’ve got smallpox – look at it and remember what you see.’ He was taken by special ambulance to Penrhys; his wife and daughters were placed in quarantine in the family home. For Carol this meant separation from her husband and baby twins; the only time they were allowed to leave the house was to attend the funeral, after his death on 6 March. Olwen Williams, the ward sister, remembered the shock of being told that she had been nursing a case of smallpox: ‘For a few seconds, I froze; I knew him well, I was fond of him. I had washed him, fed him, done everything for him.’ Then she thought of her mother, with whom she lived; the night before, they had shared a bed to keep warm. She telephoned the GP who immediately went to the house and vaccinated her mother; Olwen’s sister and her children were told to stay away. The mystery was how Dr Hodkinson and Marion Jones had contracted the virus. Neither of them had been in contact with the only known case of smallpox in Wales (Shuka Mia). Enquiries in Maerdy, where Mrs Jones lived, threw up an alarming link and, more alarming, three more cases of smallpox. These were all relatives of a woman called Margaret Mansfield, the daughter of Marion Jones’s next-door neighbour. She had died after giving birth to a still-born child at her mother’s home in Maerdy on 8 February. Marion Jones had been at the birth; Robert Hodkinson had taken part in the post mortem examination. Margaret Mansfield had gone to her mother’s home in Maerdy from her own home at Pontygwaith on 2 February in preparation for the birth of her second child; but on 6th she fell ill, complaining of back pain. The GP treated her symptoms but did not identify any serious illness; according to Dr Morley-Davies, the only unusual sign was bleeding into the conjunctivae, though the official report says she developed a petechial rash (small red dots on the skin). After the still-birth, she lost large amounts of blood, which did not clot, and was taken to East Glamorgan hospital and prepared in the anaesthetic room for an operation to remove the placenta, which was still inside her. But she was too ill to enter the operating theatre and despite several blood transfusions, she died in the anaesthetic room in the early hours of 9 February. Dr Hodkinson attended the post mortem examination later that day, but still smallpox was not identified. Only later was it realised – from the condition of her contacts as well as her own symptoms – that the virus must have killed her. Pregnant women are said to be unusually susceptible to haemorrhagic smallpox, which is always fatal. Margaret Mansfield’s body and that of her still-born baby were taken to the home of her sister, Patricia Pugh, in Ferndale, near Maerdy; they lay there, in an open coffin, until the funeral on 15 February. Marion Jones, who developed smallpox, had been present at her delivery and was among those who went to pay their respects to her body in Ferndale. After the outbreak, Dr Morley-Davies would comment: ‘Once again, smallpox had made an undiscovered entry into a community, in spite of the fact that its continued importation into the country was a topic of everyday conversation. This is not meant to imply any criticism of the missed diagnosis in the case of the pregnant woman, but rather to underline the type of difficulty which prevents the early and confident diagnosis of a condition, which if it remains unrecognised, nearly always results in far-reaching and disastrous consequences.’ Those potentially disastrous consequences were what confronted him now: Margaret Mansfield had stayed at her mother’s house and been visited by Marion Jones and others before her death; visitors had gone to her sister’s home to pay their respects before her open coffin for a week after her death, which was now put down to smallpox. As it happened, none of those who visited the body, nor the undertakers who conducted the burial in Ferndale cemetery, fell ill even though most of them had not been protected by vaccination. The three cases immediately identified were Mrs Mansfield’s one-year old son, Terence; her brother, Brian Evans; and her sister, Patricia Pugh. All of them were being treated for chicken pox. Mrs Mansfield’s husband, also Terence, later contracted smallpox; so did Mrs Pugh’s husband, her son and her next door neighbours (a husband and wife and two children). Patricia Pugh died; her mother, apparently protected by childhood vaccination, was left to mourn the death of two daughters, quarantined in her own home. Because of the risk of further infection, the body of her daughter Margaret Mansfield was not exhumed, so the conclusion that she died of smallpox was never directly confirmed. Forty years later and in spite of the infection of himself and his son, her widow Terence Mansfield maintained that his wife had not died of smallpox and, by implication, that she was not ‘to blame’ for the spread of the disease; he produced the death certificate to prove it: the causes of her death were those recorded at the autopsy; smallpox was not among them. Marion Jones’s friendship with the dead woman had serious consequences for her own family. Seven members of her family contracted the virus: her husband, her father, her mother, her brother and her three sisters. Two other ‘unexplained’ cases were traced to contacts at the house in Edmundstown, where she was taken to be nursed. A diagram in the official report paints a striking picture of the spread of the virus: six people were directly infected by the woman who died in childbirth (Margaret Mansfield); they then infected 21 others. Tegfan, a street between Ferndale and Maerdy was at the heart of the outbreak – see the memories of Cliff Jones of Maerdy, below. I was a patient in the then East Glamorgan Hospital awaiting the birth of my second child. Mr Hodkinson was due a ward round on a morning and I had been told he would be likely to examine me. However, the visit never took place and we learnt later that he had been taken ill. Within a few days – by which time my child had been born – all patients were confined to their beds with visits to the television room banned. Later it became apparent that something serious was going on and we learnt that it had to do with smallpox. No visiting was allowed and we were informed we would have to remain in the hospital in isolation for some time. By now we knew that Mr Hodkinson had died. Some months before I had had a smallpox vaccination, so I was not particularly concerned, but some of the other mums were very nervous. (I received a vaccination because I was a nurse in another hospital.) My baby and otheres were given an injection – as a precaution we were told. After about a week to ten days the confining of us to our beds became boring and was stretching the nerves of mums. We had a discussion and asked for a meeting with the medical and nursing staff. We asked for permission to visit the television room for a change of scene, whilst appreciating the isolation ban. This was granted and the atmosphere became a bit lighter and more bearable. We were able to see our families through the windows and parcels could be left for us at the main entrance. I already had a young child at home and that was upsetting only to see her through a window. After three weeks and one day we were allowed to leave. Cliff Jones of Maerdy wrote about the impact of the smallpox outbreak on the close community in 1962. I was 18 years of age when it broke out in the street I was living in at the time. The name of the street was Tegfan and I lived in No 4 with my parents and my mother’s brother. Tegfan was a very distressing and frightening street for us people who lived there during the weeks of the disease. A street with 26 houses, a street with wonderful and helpful neighbours, where all the fathers would challenge the sons in games like cricket, football and ‘catty & doggy’. But during those terrifying weeks not a soul would be seen. All children were kept indoors except when they were taken for their injections against the disease. I would stand on my doorstep looking up and down the street – not a soul could be seen. Then at the bottom of the street an ambulance and two cars would come up and as it passed my house you could see the men with white caps on, white coats, gloves and masks, as the ambulance passed me on its way to No 12. You could smell the stench of some sort of disinfectant or some bleach of some kind. From my house you could see No 12 and watch them rushing in and out was eerie. I remember they disinfected the house from top to bottom. I’m not sure, but I think they took all the furniture away and burnt it, as they did with the contents of No 13. I know I shouldn’t say this concerning a dreadful time, but I remember two silly events took place during that time. The gentleman living in No 13 was a motorbike fanatic who collected them, took them apart and kept them in his attic. After the authorities cleared his home, they left the attic, where the contents were found by the new people who moved in months later. The second silly event was concerning myself, my parents and my uncle, all living in No 4. Both my parents worked in a factory nearby called Webb Son & Co, where the manager called them into his office and told them that under the circumstances of what was happening in our street, as a precaution, they were being laid off with full pay until our street got the all-clear. But my uncle and my self who worked in the factory next door called Pyrene were told we had to work – that meant we had to walk through the street to and from work as if we were immune. It was the worst three weeks for all of us in Tegfan. In 2002, Mrs Mairwen Richards of Ynysybwl recalled her time as ward sister on Ward 1, East Glamorgan Hospital. She knew Mr Hodkinson – he was the consultant gynaecologist covering a large area – anyone with complications from Rhondda would be brought to East Glamorgan. She also knew his daughters (Carol – who worked at East Glamorgan – and Jean). On the Wednesday before Mr Hodkinson was diagnosed with smallpox (Sunday 25 Feb), he gave her a lift home to Ynyshir in his car. On the Sunday, her friend, Olwen Lloyd (now Williams), who was the sister on Ward 10 phoned to say she couldn’t meet her and would explain later. As soon as Mr Hodkinson was diagnosed with smallpox, all admissions and discharges were stopped. The children on Ward 3 were put into quarantine (presumably because Stephen Howells’ mother ‘sickened’ on 26 February. All staff were vaccinated. Mairwen Richards and her staff were allowed home after two or three days and spent the next 3-4 weeks caring for and entertaining the patients stuck on her ward. Her parents were vaccinated and went to the front of the huge queue of people waiting in Ynyshir, because they were given priority. She remembered that people were unhappy about using the buses which nurses caught to and from the hospital. When the children from Ward 3 were eventually allowed home, they were taken from there, bathed and wrapped in a blanket, then brought to Mairwen Richards’ ward to be collected. Ward 3 was disinfected afterwards.